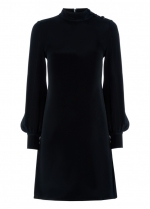 The Georgie blouse from British label Goat in chic Navy is elegant and refined. 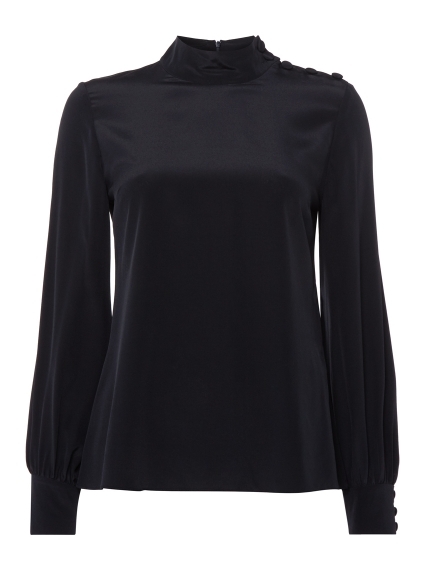 Designed from silk crepe de Chine the blouse is shaped with long blouson sleeves and simply finished with buttons along the shoulders and slender cuffs. 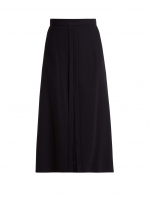 Perfect for wearing with both tailored trousers or jeans. Style the Georgie blouse with the Garnet skirt.